When will be National Christmas Tree Lighting next episode air date? Is National Christmas Tree Lighting renewed or cancelled? Where to countdown National Christmas Tree Lighting air dates? Is National Christmas Tree Lighting worth watching? National Christmas Tree Lighting is an annual happening held at 1600 Pennsylvania Avenue in Washington, D.C. on the White House lawn every December and it has aired on the Hallmark Channel since 2009. Some of the all-time great music artists sing Christmas songs just prior to the official lighting ceremony. Five-time Grammy Award winner James Taylor along with Country Music superstars Garth Brooks and Trisha Yearwood will take the stage at the 94th annual National Christmas Tree Lighting ceremony. Other music luminaries, including gospel legend Yolanda Adams, the first "American Idol" Kelly Clarkson and critically acclaimed hip-hop artist Chance the Rapper, will also be performing at this year's event. The special event at President's Park wraps the National Park Service centennial year and celebrates the launch of a second century of stewardship. Through a partnership with the National Park Foundation, the official charity of America's national parks, the 2016 National Christmas Tree Lighting will be televised exclusively on Hallmark Channel on Monday, December 5. 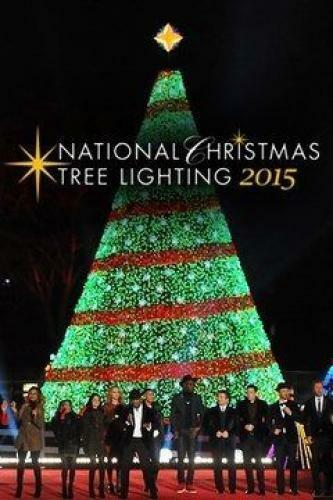 National Christmas Tree Lighting next episode air date provides TVMaze for you. EpisoDate.com is your TV show guide to Countdown National Christmas Tree Lighting Episode Air Dates and to stay in touch with National Christmas Tree Lighting next episode Air Date and your others favorite TV Shows. Add the shows you like to a "Watchlist" and let the site take it from there.